While I don’t want to start a habit of having the same artist in the “Album of the Week” twice in a row, a new Devin Townsend release is always a guarantee for repeated spins in the Kevy Metal residence. And although Townsend does have something of a unique, instantly identifiable sound, he stubbornly refuses to do the same thing twice. Having said that, ‘Epicloud’ is probably closest to ‘Addicted’ in terms of style. Both albums are incredibly poppy, both albums feature the dual vocal delivery of Townsend and Anneke van Giersbergen and both albums feature a remake from Townsend’s back catalog – ‘Kingdom’ this time. So ‘Epicloud’ is one hell of a Townsend-style Pop record. It takes the formula of ‘Addicted’ one step further. Anyone familiar with Townsend’s work knows what that means: big, hooky choruses, a beefy production giving eighties Hair Metal bands a run for their money and of course lots and lots of guitars. The first reference that came to mind when I heard the album, however, was Talking Heads. Of course, Townsend is the same kind of mad genius David Byrne is, but the a capella gospel choir intro ‘Effervescent!’ immediately brought to mind ‘Road To Nowhere’. When the intro makes way for Van Giersbergen’s loving vocals in ‘True North’, you know you’re going to be in for a poppy ride. But then again, why would you mind? Generally, I feel that ‘Epicloud’ touches on a few more different aspects of Townsend’s songwriting than ‘Addicted’ did, possibly because it doesn’t have the strong conceptual character the latter had. Despite the continuous presence of humor in Townsend’s music, something cabaret-esque as ‘Lucky Animals’ is new to his canon and I think he’s never done any ballad as cute and small as ‘Divine’. ‘Grace’ and ‘More!’ are – despite Van Giersbergen’s inclusion and their instant sing-along value – crushingly heavy affairs by leaning on the brilliant dark riff of the latter and Ryan van Poederooyen’s brilliant rhythms of the former. ‘Liberation’ is the ultimate eighties Hardrock anthem not written in the decade, ‘Hold On’ is an incredible power ballad, ‘Where We Belong’ and exercize in aural dreaming and closing track ‘Angel’ reprises ‘Effervescent!’ with the gospel choir. The electronic rhythms and passionate chorus or ‘Save Our Now’ make said song the highlight of the record though! Be sure to get ‘Epicloud’ with the bonus cd ‘Epiclouder’, as it features 10 extra tracks. They’re demos, but figuring that Townsend usually records everything himself, you can probably imagine how professional it sounds. 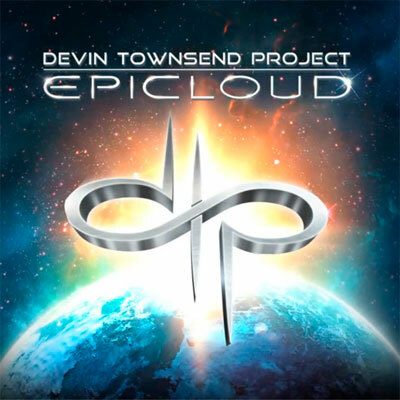 For yours truly, ‘Epicloud’ – with or without ‘Epiclouder’ – consists of many more minutes of Devin Townsend brilliance. The added value of Anneke van Giersbergen – one of my all time favorite singers – is a bonus. The performances and production on the album are just impeccable and I applaud Townsend for having the balls to make the move of making such a poppy album in the conservative circles that is the Metal scene. For someone who likes heavy guitars, catchy choruses, dreamy melodies and a general cheesiness in this post-eighties era, ‘Epicloud’ is an obligatory acquisition.